Stafford, Va. – Stafford County is pleased to announce that Capital Textile Service will invest $6 million in a highly-automated laundry facility that will employ approximately 50 people located off Centreport Parkway. Construction on the facility, which will serve the Washington, D.C., metropolitan area, is set to begin in 2016. Capital Textile Service, Inc., an affiliate of Virginia Linen Service, Inc. of Petersburg, VA, recently closed on a 12.8 acre site at Centreport Parkway. Plans call for expanding the operation by constructing a second building and employing an additional 25 people overtime. Capital Textile Service is an 82-year-old, third-generation family business conducting business in 10 states along the east coast. They were the first multi-state, multi-plant company to receive clean certification in their industry and a founding member of the industry’s environmental stewardship program. “Centerport is now beginning to live up to its commercial potential. Two additional commercial deals are in negotiations as we speak, and more are most certainly to follow,” stated Gary Snellings, Hartwood District Supervisor, in whose district the facility is located. In 2015, Stafford facilitated roughly 500,000 square feet of new, or newly built-out, commercial square footage. Last year also saw more than $22 million of commercial investment. Today more than 41,000 people can say “I work in Stafford” and that number is expected to climb higher in 2016. Stafford County recently completed improvements to the intersection of Centreport Parkway and Ramoth Church Road, making the intersection safer and giving it more capacity to handle the expected increase in traffic due to industrial development in the parkway area. 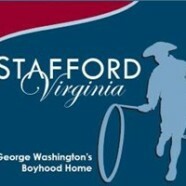 The project, administered by Stafford County in partnership with VDOT, was funded by state and local monies. Additionally, Stafford is advancing sewer upgrades in the area to support commercial growth. “Our first priority is excellent customer service through exceptional people. We are committed to providing the most responsive, ‘worry free’ service and the highest quality textiles enhancing the image of our customers in the lodging, hospitality, restaurant and medical industries in Northern Virginia and the D.C. Metro market areas. We intend to remain an industry leader in sustainability and our new Stafford facility will be designed to protect the environment and the health of the communities we serve,” said David Struminger, President of Capital Textile Service. More information on Capital Textile Service or Virginia Linen Service may be found at www.yourlinenservice.com.